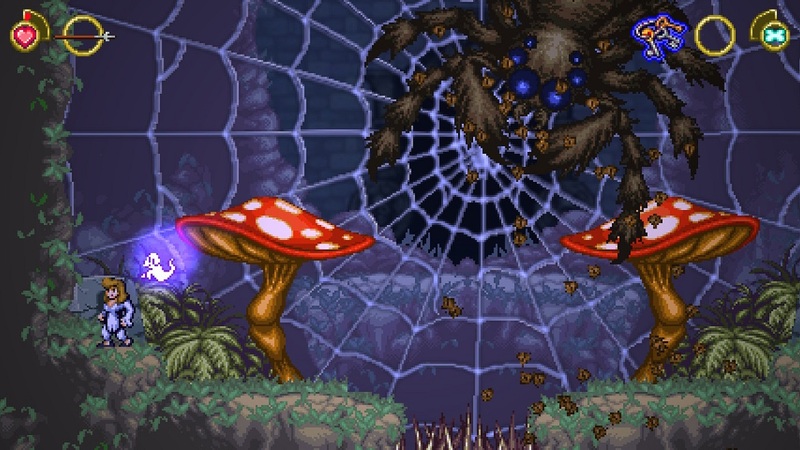 Combine the fertile imagination of a 7-year-old child with the retro charm and nostalgia of 16-bit gaming and you end up with Battle Princess Madelyn. 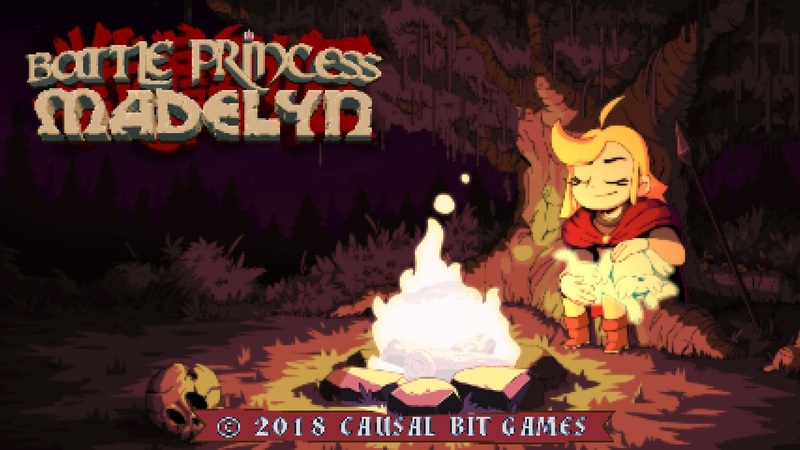 Battle Princess Madelyn is a retro-styled, side-scrolling, platform game developed and published by Indie developer Causal Bit Games. It was brought to life and developed following a conversation between the CEO of the company Christopher Obritsch and his, at the time, 4-year-old daughter, Maddi. One day, while watching her father, a devoted Ghouls N’ Ghosts fan, playing said classic, Maddi proclaimed that she wanted to be in the game. Being perhaps the coolest Dad in history, he set out to make his daughter’s dreams a reality. 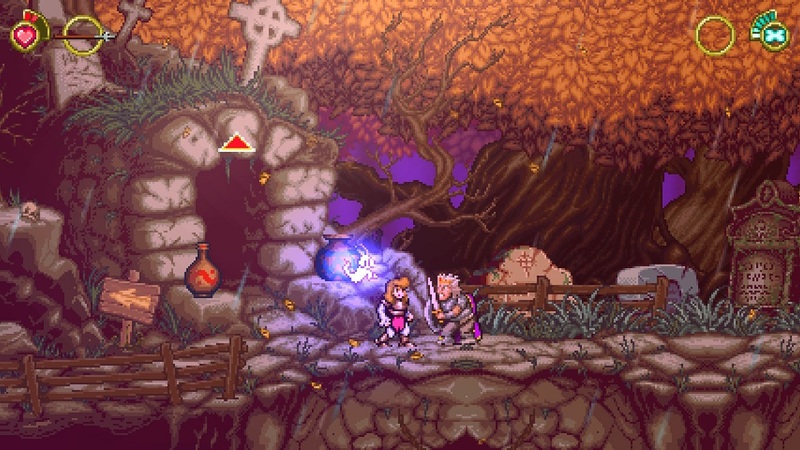 Maddie was not only the inspiration for Battle Princess Madelyn, but also acted as the title’s creative lead. The developers took her ideas, drawings and desires and translated them into the game world. The result is a cute, quirky game which can sometimes become so infuriating that it could only have come from the diabolical mind of a 4 to 7-year-old girl. The game is heavily inspired by classic 8 and 16-bit games. 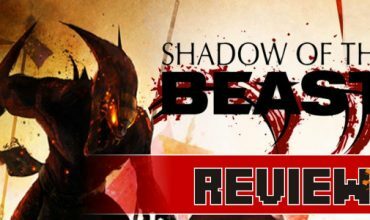 As one may expect the game looks and feels remarkably similar to Ghouls n’ Ghosts, with a few modern twists, such as improved frame-rates and an upgradable move-set thrown in for good measure. The story follows the trials of Princess Madlyn and her recently deceased Ghost-dog, Fritzy as they set out to free the land from an evil wizard and his minions. The story is hardly the focus of the game with gameplay being the meat-and-bones of the entire experience. In this regard, Battle Princess Madelyn excels. Movement is fluid, although jumping can feel slightly delayed and takes a bit of getting used to. Controls are simple and consist of moving, jumping, attacking and cycling between weapons. 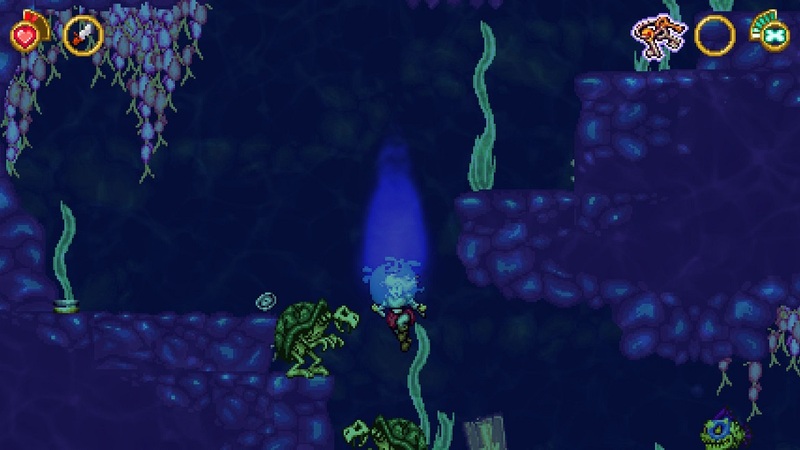 The 16-bit style graphics and music are, again, heavily influenced by Ghouls n’ Ghosts. It serves the game well and adds to the nostalgic charm and atmosphere. For those purists wanting a near-as-possible retro experience, there are options to add scan lines onto the screen and to have the music played in a classic 16-bit style. From the main menu, one can access two different game modes. 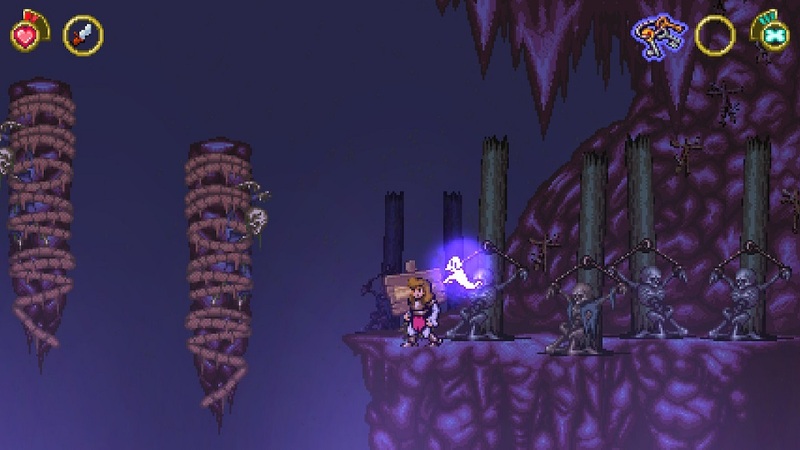 Story mode is basically the result of a sordid one-night affair between Ghouls n’ Ghosts and Castlevania. The action and gameplay still feels very much like Gn’G but has a healthy dose of Metroidvania DNA in its mix. As you travel through the game you will find upgrades for your weapons and move set which allows you to access new areas or inaccessible places in previous areas. 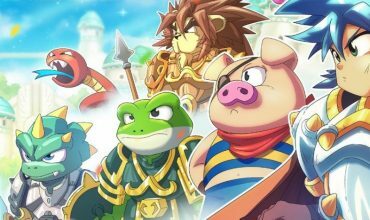 You can earn rewards and upgrades by performing tasks for the villagers found scattered throughout certain areas and by defeating the game’s bosses. Like any good Metroidvania title, you will be travelling back and forth between the areas a fair amount in your quest to find every upgrade available. Arcade mode does away with the Metroidvania aspect of the story mode and allows you to play through the games in a much more linear fashion. You progress from one stage to the next and do not earn new skills. The action in arcade mode feels a bit faster and provides a fun diversion from or alternative to the Story mode. While Battle Princess Madelyn can provide a rather steep challenge at times, it is more forgiving than most of the tougher 8 and 16-bit era games. Running out of lives, for example, does not send you back to the beginning of the game, but rather just back to the area or boss fight which you are currently in. While this goes a long way to ease the frustration of repeatedly dying at some difficult obstacle, it does make the game feel somewhat easier compared to other similar titles from my childhood. Battle Princess Madelyn’s strengths also tend to be its greatest weaknesses. While a game stemming from the mind of a 7-year-old girl is often charming and quirky it also results in some head-scratching moments in the game design. The storytelling and dialogue can be especially disjointed and childish at times. The unapologetic retro feel of the game may also put off some individuals. 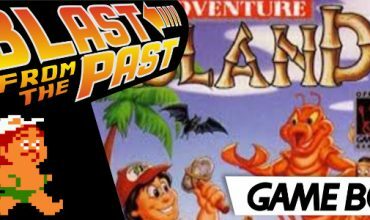 The game retains both the positives and negatives of classic retro titles. Very little direction is given to the player, often resulting in one feeling slightly lost and unsure of what to do next. The areas can be rather complex and become a chore to explore, given the complete absence of a mapping system. While these feel like purposeful choices in the game design and add to the retro feel, some may find them rather irksome. A Princess of a Game? Overall Battle Princess Madelyn proves to be an enjoyable and rather unique experience. While it may not appeal to everyone’s taste, those looking for a retro-inspired game in the vein of Ghouls n’ Ghosts and Castlevania should look at giving it a go.